When it comes to your menstrual cycle, there’s no such thing as too many tips or explainers about how best to deal with the pesky monthly visitor. Want to decode the color of your period blood? 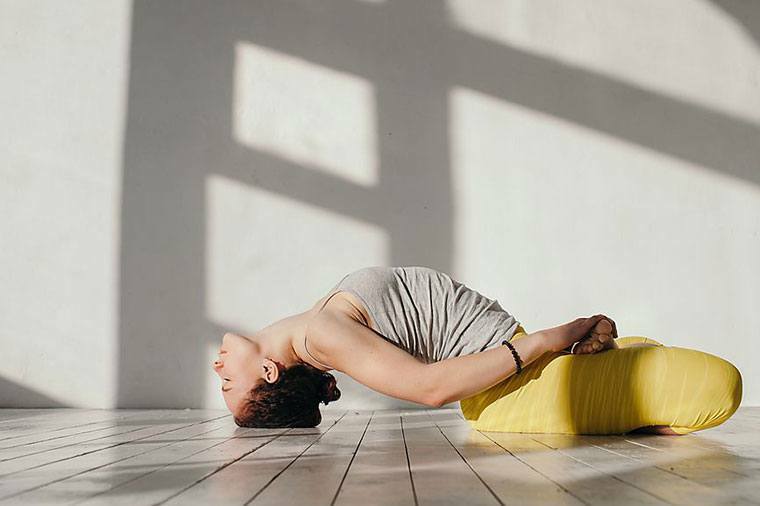 And learn about the yoga poses that can help ease the pain of cramps? Biohack Aunt Flo’s whole visit? We’re on it. And now, recent research suggests that one effective method for reducing painful period symptoms could be as easy (and free!) as meditating. Clue, a female-health and period-tracking app, claims the mindfulness practice can help alleviate some of the less-than-pleasant aspects of your period. At least one study has shown that stress can cause dysmenorrhea (a fancy way of saying menstrual cramps), and according to Clue, stress can also result in the production of lower levels of estrogen among other imbalances. A study published in the journal Mindfulness found that meditating can even change your attitude toward period pain, potentially impacting how severe it is. A small study published in the journal Mindfulness found that meditating can even change your attitude toward period pain, potentially impacting how severe it is. And aside from diminishing pesky cramps, the practice can also alleviate physical PMS symptoms like water retention and sweating, according to the study. So, the next time you’re suffering from some monthly side effects of being a woman, try a hot water bottle with a side of mindfulness. It can’t hurt your case. (More than those cramps, anyway!) And also keep in mind the health benefits to, er, getting busy during your period. Don’t know how to start a mindfulness practice? Here’s how to start (and stick to!) one and some inspiration for your meditation nook.